During the medieval period the area was important for the salt industry, with salt being extracted from sea water. Modern visitors can see the grassy mounds of ash from the fires used to evaporate sea water to crystallise the salt, near the North Gare car park. Today Seal Sands continues to be an important industrial centre - but for petro-chemicals. 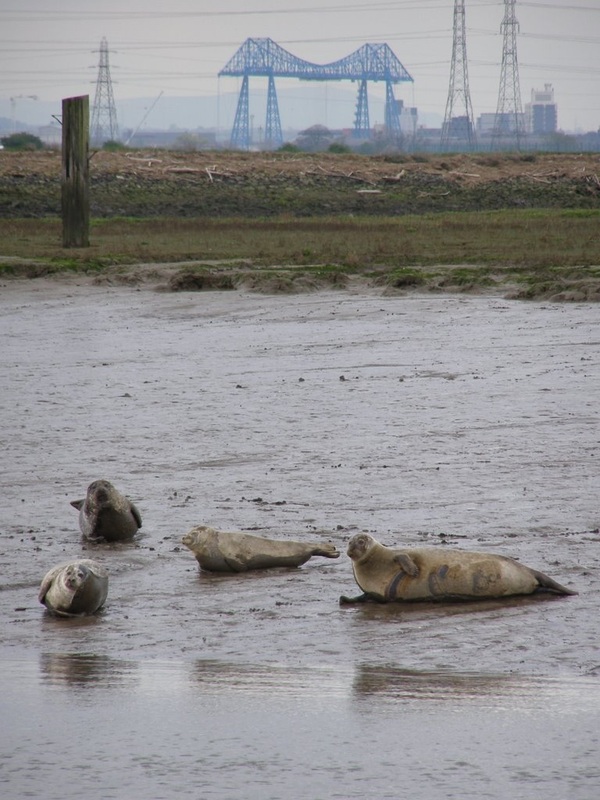 Located between Hartlepool and Middlesbrough, you'll find a nuclear power station and chemical works on the horizon but don't let the industrial landscape put you off.Although it isn't the prettiest place, Seal Sands is a top location for urban wildlife including wading birds and seals. If you're a wildlife lover, this place is not-to-be-missed, mainly because you can get really close to the animals and birds. 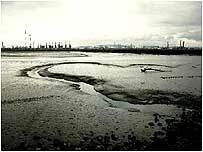 Seal Sands is of international importance because it's the only area of inter-tidal mud flat between Lindisfarne to its north and the Humber to the south.This industrial location provides a sense of isolation despite the heavy traffic running along its edges. Ironically there's relatively little human disturbance, so the birds and mammals can flourish at Seal Sands. As a result the area can get up to 30,000 ducks and waders in the autumn and winter months. Sometimes the industry works in favour of the wildlife in strange ways - some of the raptors, for example, use the industrial chimneys as perches. As a result it's a surprisingly good place to spot Peregrine Falcons and Short-eared Owls. Park at the Teesmouth NNR car park alongside the A178 between Seaton Carew and Port Clarence, cross the road with care, and follow the Easy Access Path along the south bank of the creek to the two bird hides overlooking Seal Sands. Once upon a time there were more than 1,000 seals lounging on the sandbanks at Seal Sands, but pollution, dredging and human interference resulted in a dramatic decline in their population.By the 1930's a sight of a seal was very rare. It was only in the 1960's that Grey Seals returned, followed in the 1980s by the rarer Common Seals. Even then it was a tough time for the returning animals - pollution was still a problem. 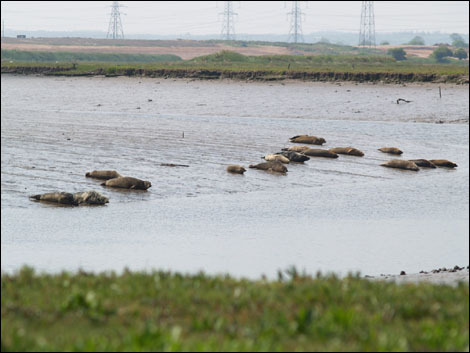 It's only in recent years that things have improved - and visitors can now find around 100 seals at Seal Sands. If you visit at a low tide, you'll nearly always see the animals lounging out on the sandbank in the middle of the lagoon. much more closely as they push themselves up Greatham Creek, which runs under the busy main road, before pulling themselves out onto the mudbanks. Who would have thought that you'd get top quality views of one of our largest mammals from a footpath by a busy road between a power station and an oil refinery?